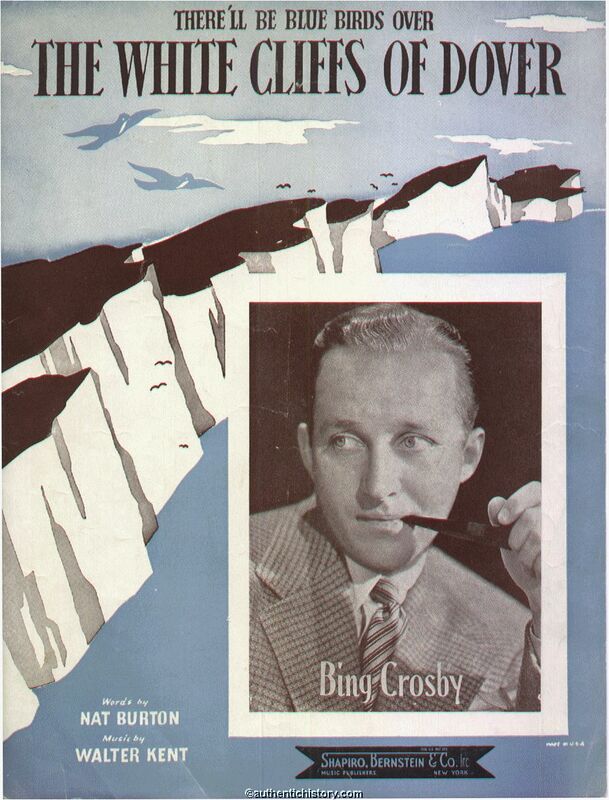 Now, as soon as I mention White Cliffs of Dover, you may be forgiven of instantly thinking of Vera Lynn, but there is 1 major flaw of the song that reminds us that the lyrics were written by an American…’Bluebirds’. These are not native to England and do not resemble Swallows or the like either. Imagine a Robin that has accidentally taken a bird bath in a pot of electric blue ink. That is a Bluebird. Nat Burner wouldn’t have known this as he had never ventured to these shores, but was forgiven as his beautiful lyrical imagery was so strong. Not only that, Swallows (which are navy blue) had been a symbol of love and loyalty for many, many years in Britain. It was a sign that spring when you saw that this delightful bird had arrived and they would always fly back every year. It also felt as if Nat’s Bluebirds were being used as a symbol of the RAF coming back home too. Written in 1941 (before America even joined into the fight), White Cliffs of Dover was created to boost morale on British soil. The musical composer was Jewish American Walter Kent who also composed the stunning festive song ‘I’ll Be Home for Christmas.’ Nat was actually born Nat Schwartz, but changed his Germanesque surname to something less so. Nat had been writing songs for stage and screen, including ‘When the Roses Bloom Again’, which you may recognise the likes of Johnny Cash covering. Although each of the different versions tell the same basic story of a man falling to his death, the original is of a poor Airborne paratrooper that let out his parachute, only for the silk to wrap around his legs, the cord to coil around his neck and the connectors to wallop him over the head. This can also be heard in Episode 9 of Band of Brothers. No one knows who wrote this song, but I like to think that as the rest of the troop were singing “Glory glory Hallelujah!”, there was some cheeky sod at the back making up his own lyrics to make people laugh. Well if that is true, it certainly did the trick and is still sung religiously by the American Airborne troops to this day! A Nightingale Sang in Berkley Square sheet music cover. Recorded by the likes of Frank Sinatra, Rod Stewart (hey, wait! Where you going?! 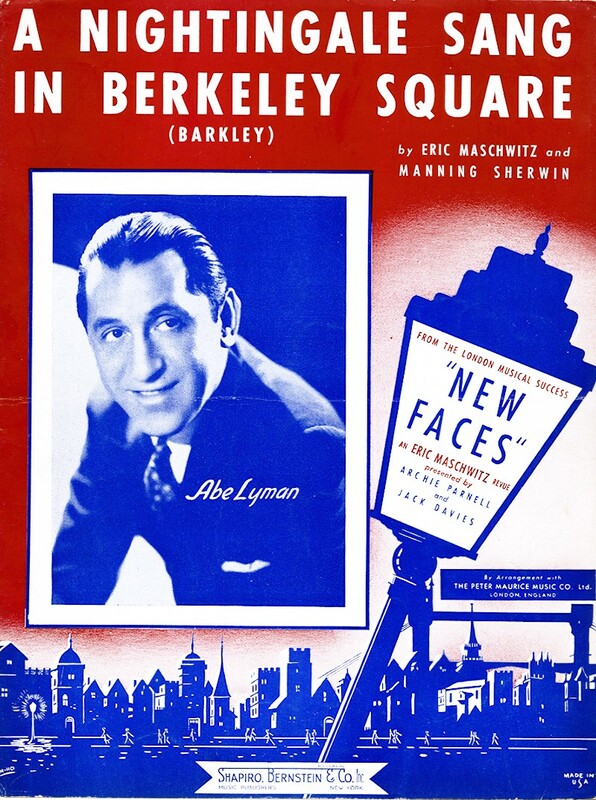 ), Harry Connick Junior, Nat King Cole, Glenn Miller and Vera Lynn, A Nightingale Sang in Berkeley Square is a beautifully sentimental song. The lyrics spark images of romance, London’s elegant Mayfair district and birdsong…but did you know it was actually written and first performed in France?! This famous ‘English’ song was in fact written in a small fishing village in Le Lavandou, just before the outbreak of war. 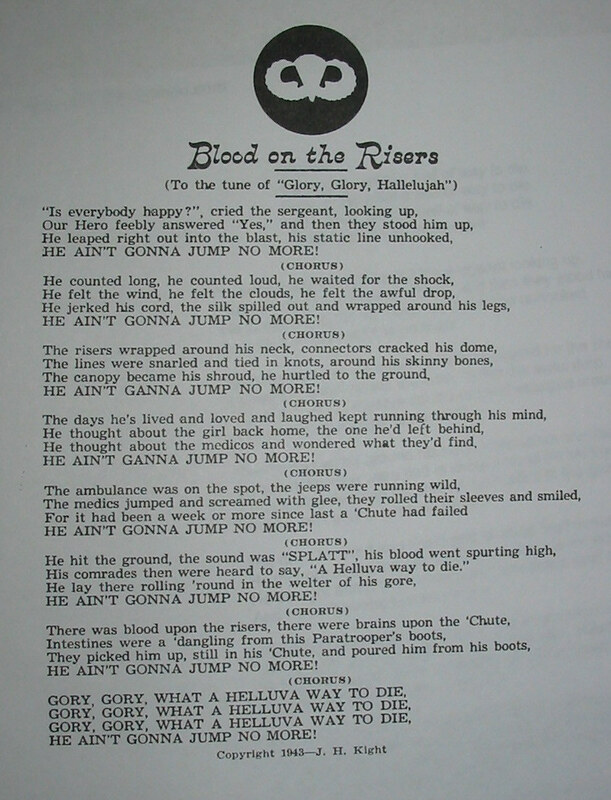 Eric Maschwitz (born in Edgbaston, Birmingham) wrote the lyrics and Manning Sherwen wrote the melody. Later the same year, Eric became part of MI-6’s sabotage section and even briefly established a resistance organisation in Yorkshire in 1940 before getting posted to New York and then back to London. He was most famous for co-writing the 1937 adaptation of Goodbye Mr. Chips (one of my favourite MGM classics! ), of which he was nominated for an Academy Award. Manning on the other hand was American and moved to England in 1938. He wrote many wartime musicals, who’s casts delivered between 235 and 680 performances per play throughout the 40’s. So back to the song…Imagine a small, insignificant bar with Manning at the piano, a resident saxophone player and Eric holding a glass of plonk singing the words. You would be blown away right? Well no one was that fussed to be honest. Well as soon as the Brits heard it in 1940 on New Faces (sung by Judy Campbell), we went crazy for the song and its references to London. It was of course Dame Vera Lynn that really saw sales and heart soar for this song. So there you have it. 3 exceptional songs of WW2 and I could bring you more, but then I would have nowt to write about when I am stuck for ideas! I will bring you others at a later date I promise, but hope you have found this interesting and enlightening! Posted in Uncategorized and tagged 1940's singing, 1940's song origins, 1940's songs, a nightingale sang in berkley square, blood on the risers, classic songs, first world war songs, kitten von mew, old songs, song origins, white cliffs of dover, world war 2 songs, ww1 songs, ww2 song origins, ww2 songs, wwii songs. Bookmark the permalink.